Welcome to ICS Logistics, we are a small company where you will be known by your name not just a truck number. We have a great lease purchase program that will allow you to successfully own your own truck. We have refrigerated trailers and will deliver freight in the Midwest and south. Drivers can expect to be home every two weeks and may get thru the house a little more often if they live in a specific freight lane. 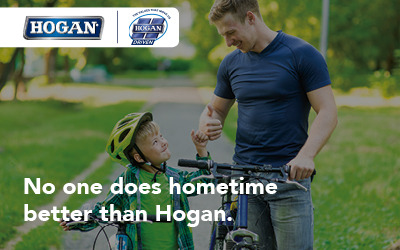 Hogan is hiring Dedicated and OTR CDL-A Solo and Team Truck Drivers. Our drivers succeed with the support of the best equipment, pay, benefits and hometime that only an industry leader can provide. Whether you're a company driver or owner operator, we have opportunities for you to join our team. Start your truck driving career here. If you're ready to hit the highway with a truck driving job, click one of the categories below to get started with the best truck driving opportunities. By applying for a specific truck driving career, you get connected to dozens of companies with trucks driving jobs today. If you are looking for a high paying truck driver job, our application processing system matches your qualifications with the highest paying truck driver jobs in the industry. Complete the application and you are on your way to a new truck driver job. TruckJobSeekers.com matches your qualifications with the best truck driver jobs and the highest paying truck driver jobs in the industry. Whether you are experienced and seeking a Company Driver trucking job, looking to become an Owner Operator, or just getting your CDL to start your first trucking job, TruckJobSeekers.com gets you started quickly with the best companies in trucking today. Simply complete our driver application, and let us get you started on your way to a high paying truck driver job. It doesn’t matter if you are looking for a Flatbed job in Texas or a Reefer Job in Alabama, we have companies across the US looking for qualified, experienced truck drivers, as well as recent CDL trucking school graduates seeking their first truck driving job. On TruckJobSeekers.com you can find many different types of trucking jobs: Over the Road truck driver jobs, regional truck driver jobs or local truck driver jobs, Tanker Jobs, HazMat jobs, Household Goods jobs, dry van jobs and more. Truck Job Seekers offers them all. Don’t have time to review all our companies? Simply fill out your application and send it to them all and soon you will receive calls to start your truck driving career.